People remember the stories! You can give a presentation that’s a dazzling display of your vast intellectual knowledge, but when all is said and done, people remember the stories. Don’t confuse storytelling with speaking in the narrative. Delivering the narrative around a set of facts is not storytelling – just basic good communication. 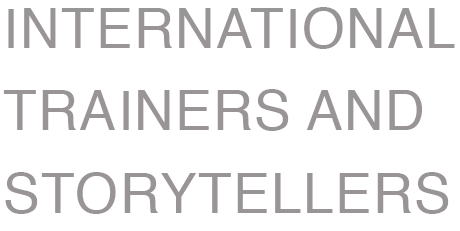 Don’t confuse storytelling with delivering case studies. Stories are more powerful when they make a point. In business a story must always make a point. And the audience must always understand that point. The ability of the presenter to show thought leadership is dependent on their ability to help others ‘imagine’ and ‘get the point’. Presenters therefore need to connect emotionally as well as rationally and stories allow them to do this. Any manager who has made a number of presentations and is competent at delivering them. Maximum 8 delegates. We also run shorter sessions for larger groups for example as part of a company conference. 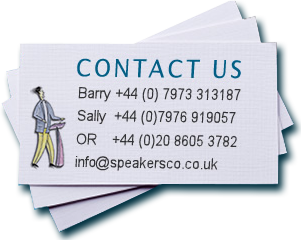 Please contact us to discuss your needs further. To understand the different ways to use stories in business presentations. A step guide to crafting stories. To develop the confidence to use stories to make more impact. To release imaginations to communicate more creatively. To observe themselves in action as a storyteller and receive feedback. Purpose: To help you to use stories – your own and borrowed – so you can make a greater impact and a stronger connection with your audiences.